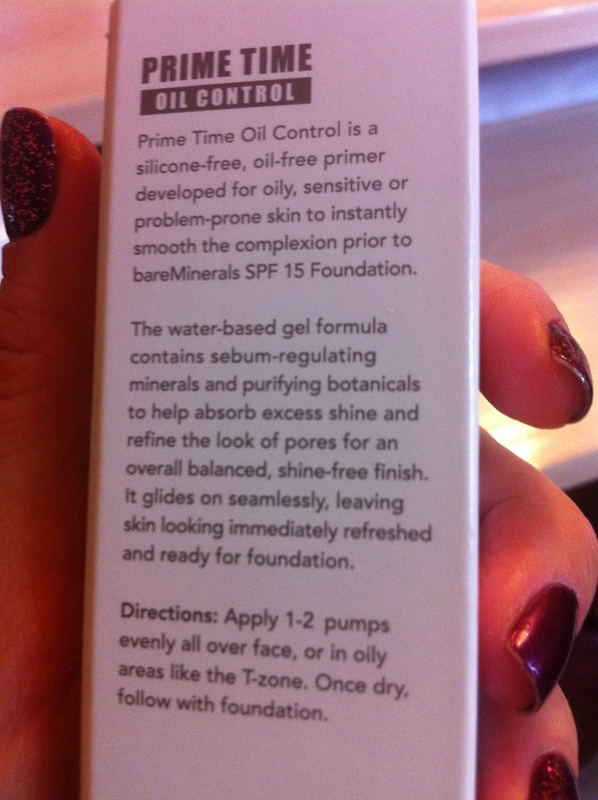 Prime Time Oil Control Foundation Primer by BareMinerals! Review!!! 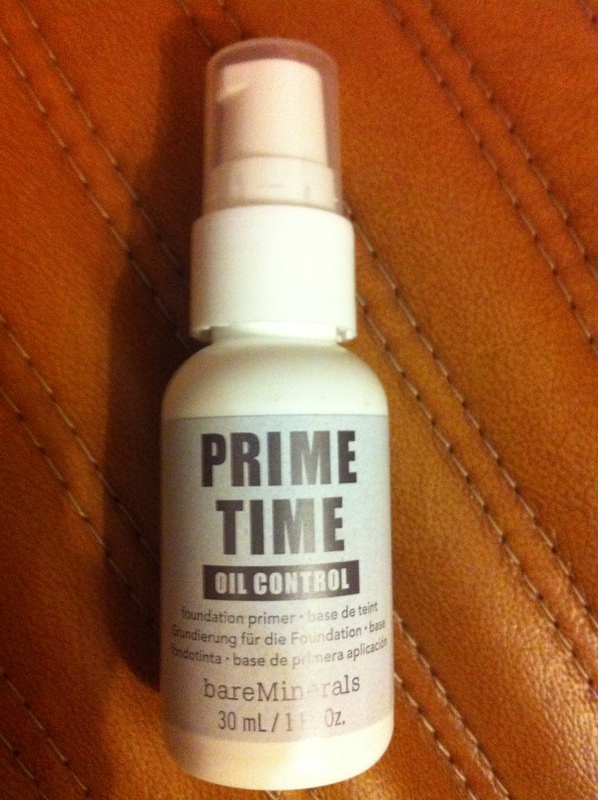 Remember I promised you, I’d do a review on my Prime Time Oil Control primer from BareMinerals? Finally, I am ready to do it. I’ve had it for at least 1 month now, I think. I would like to start with the packaging. Some people might think it’s boring, but for me, this kind of packaging ( simple and ‘serious’) is an indicator of a good product. I mean, we all love cute little boxes and bottles, but this is the case when you expect alot from a product, that looks very… mmm ‘professional’, I’d say. This is the first product from BareMinerals, I’ve owned, and I’ve been pretty excited about using it. I tried it with different fondations. It didn’t break me out, but it definitely didn’t make my oily skin look matte. It’s VERY moisturising!!!!! The bottle should have said ‘super moisturising for dry skin’ instead of ‘oil control’. And for around 20 GBP I am pretty upset with the product. Honestly, my foundation looks more fresh without this primer. If you have combination skin, it might work for you, but for those with oily skin (like mine), don’t waste your money. Instead, I suggest getting Urban Decay’s De Slick Setting Spray. I got their XL version of this product for $20 and I am happy with it. Works great with Maybelline 24H foundation and Rimmel’s Stay Matte foundation. What is your favourite primer or foundation? ﻿Great Post Thanx.I really enjoyed reading that was worth the time.